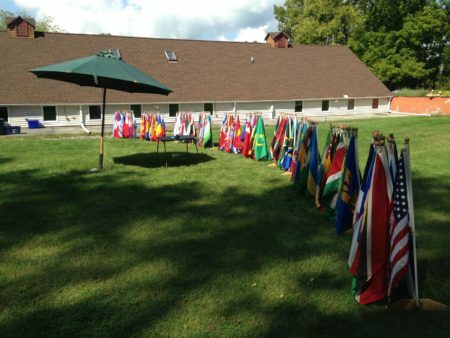 On Sunday, September 17th The World Peace Sanctuary hosted a Children’s Peace Festival for the Trillig Movement and produced by Jim Dugan and Jules Lamore of WPPS. The event brought together the Youth Art Peace Pole Project and other peace art projects, nature, bells with Doug Martin and a World Peace Flag Ceremony. It was a beautiful day to celebrate the IDP with our future leaders and we also released a young Northern Water Snake to the delight of the children present.